"Good service, quality workmanship, reasonable rates and helpful advice are just what's needed in a tradesman. 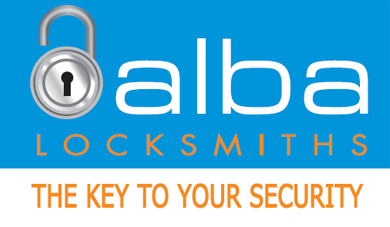 I always call Alba for any locksmithing jobs that I need." Robert Braun, Director, Main Autocentre, Ellerslie. "Thanks for installing our new master key system. It saves me having loads of keys to carry around, and more importantly I feel my business premises are much more secure, as I can keep track of exactly how many keys are issued. The whole process was much easier to carry out than I anticipated." "Thanks for installing our new master key system. It saves me having loads of keys to carry around, and more importantly I feel my business premises are much more secure, as I can keep track of exactly how many keys are issued. The whole process was much easier to carry out than I anticipated." We are a busy company dealing with door and window fabrication and installation on a day to day basis. ​Despite the best organisation and resources, issues inevitably pop up that require quick, hassle free solutions for us and our clients. Wayne delivers for us time and time again and I wouldn't hesitate to recommend Alba Locksmiths to anyone. We are a busy company dealing with door and window fabrication and installation on a day to day basis. ​Despite the best organisation and resources, issues inevitably pop up that require quick, hassle free solutions for us and our clients. Wayne delivers for us time and time again and I wouldn't hesitate to recommend Alba Locksmiths to anyone. Marty Stewart, Financial Administrator, Kauri Park Nurseries. “I have found Wayne very helpful with all areas of our locksmithing requirements. Initially he put a lot of effort into ensuring we understood what options were available to us for a master key system and made sure we had it set it up so that it was future proofed and scalable. Since installing the master key system, he has offered us great support and very speedy responses to any queries we have. 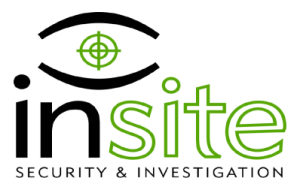 Over the past 18 months Insite Security has worked closely with Mr Wayne Green of Phoenix Lox in the provision of locksmith services to our Rodney & Hibiscus Coast customer base. During this period of time I have observed Wayne to always be a highly motivated, customer focused professional. He is creative in his security system options & will work tirelessly to come up with solutions in even the most difficult applications. His follow-up service has also been impressive and customer feedback over his work has always been very complimentary & positive. I have absolutely no hesitation in recommending Wayne and his company Phoenix Lox to you as a business partner who will provide you with benefits over and above your expectations. Over the past 18 months Insite Security has worked closely with Mr Wayne Green of Phoenix Lox in the provision of locksmith services to our Rodney & Hibiscus Coast customer base. During this period of time I have observed Wayne to always be a highly motivated, customer focused professional. He is creative in his security system options & will work tirelessly to come up with solutions in even the most difficult applications. His follow-up service has also been impressive and customer feedback over his work has always been very complimentary & positive. I have absolutely no hesitation in recommending Wayne and his company Phoenix Lox to you as a business partner who will provide you with benefits over and above your expectations.